In some cases, it may be very beneficial for a company to outsource some of its roles. This might be to fulfil a large contract, or to get an amazing niche product or service out onto the market before a competitor. New companies can benefit from outsourcing, as can small companies that may have bitten off more than they can chew. 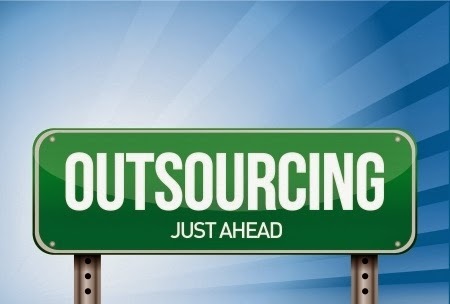 Outsourcing has become more than just a cost cutting exercise; it is now about doing things more quickly, being more efficient, getting into the market faster than competitors, obtaining access to highly qualified workers without paying through the nose, and accessing a flexible workforce. The most beneficial way in which to outsource work is to devise an entire role, rather than just a series of tasks. Someone may be needed to deal with email and to arrange meetings. That doesn’t have to be two people. Consolidating all related tasks into a single role, such as a personal assistant, can result in a cost effective solution. Nobody is good at everything. That’s why some people sell themselves successfully as experts, whether it’s in accounting, admin, engineering, or IT consultancy. It can be a risky business, employing experts, especially if a company is still growing; they can be very expensive; and the recruitment process can take far too long. There are three really good ways in which talent can be accessed, to outsource everyday tasks, to do it really quickly, and to save money all at the same time. An umbrella company will deal with all financial administration tasks for a sole trader, a partnership or a small business of any description. It will administer the payroll, taxes, and expenses for a business, thus relieving the owner(s) of those onerous tasks to concentrate on running the enterprise. All that the business has to do is to supply the umbrella company with the necessary documents relating to the day-to-day trading. Umbrella companies will even handle invoicing if required. Where unrelated individual tasks are needed, such as someone to make a testimonial video about a product, and someone to deal with email for the CEO, it may be more beneficial to use a crowd-sourcing website. Here, individual freelancers who work from home can bid for single jobs, and the business owner can pick and choose until they find the right person for the task. Apps aren’t just for finding the nearest café. They can also perform simple but irritating jobs that a growing company may need in order to survive, but which get in the way of doing something far more important. Travel arrangements are a great example of this. By using an app that is designed to help find a convenient flight, hotel and rental car for a business trip, a business owner can cut down the time involved in doing this freeing up more time.